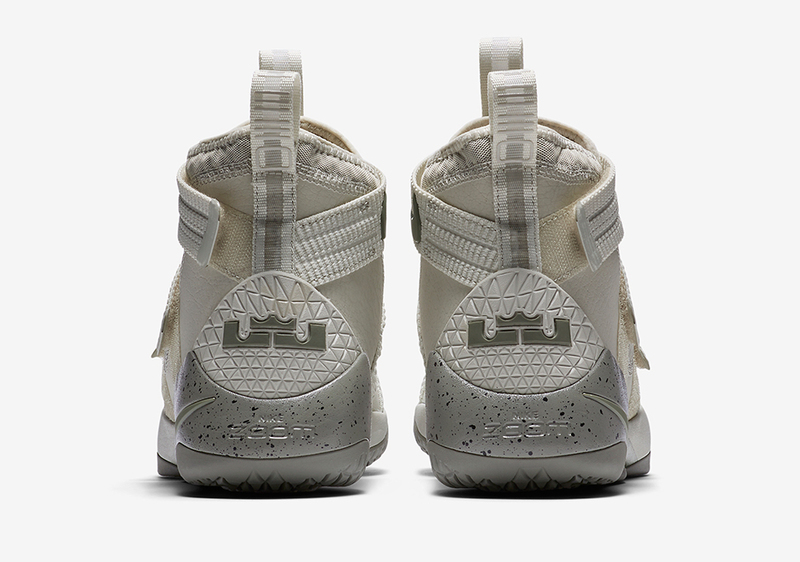 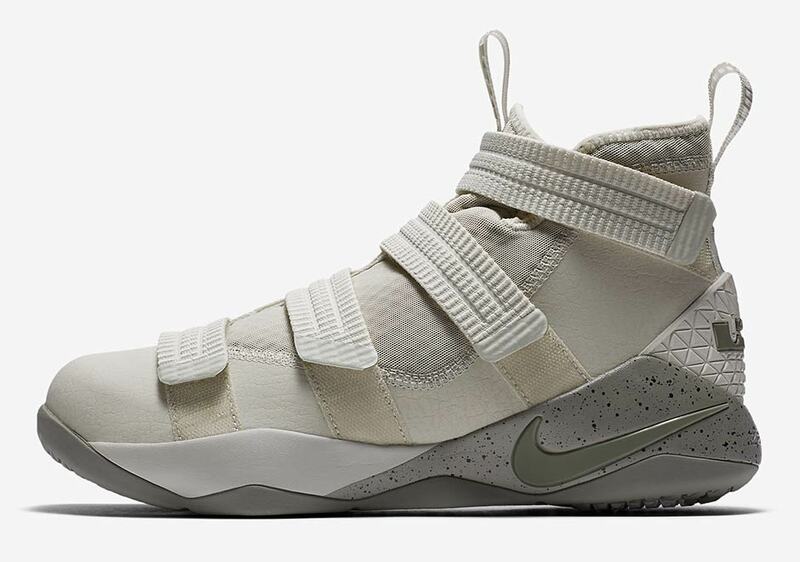 Update: The Nike LeBron Soldier 11 SFG “Light Bone” is available now for $140 at Nike. 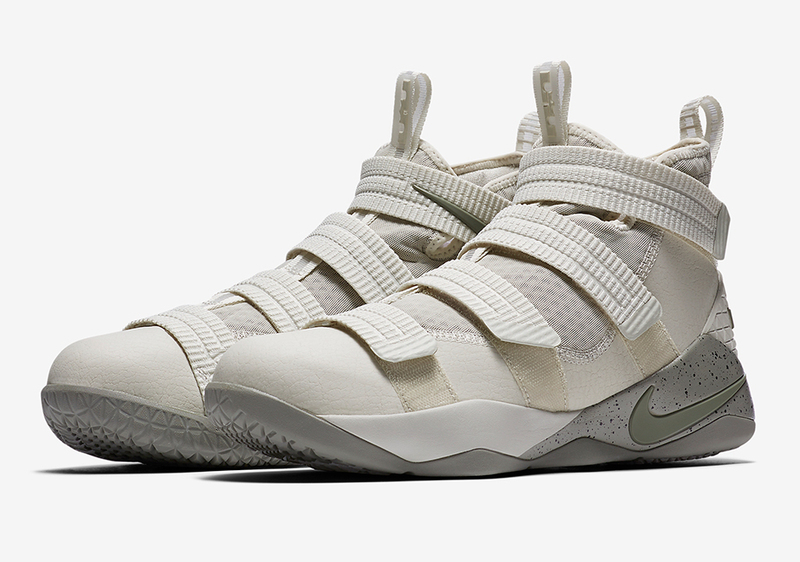 It seems that the Nike LeBron 14 has ended production as the LeBron 15 will soon be releasing, but the latest Soldier model, the LeBron Soldier 11, is still going strong. 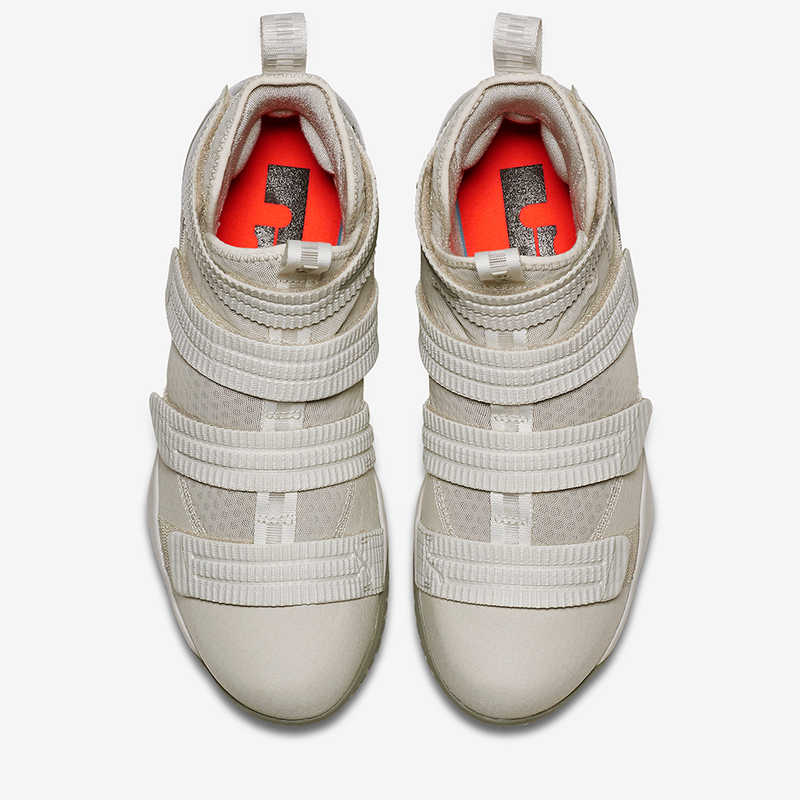 The lifestyle leaning premium ‘SFG’ line of the Soldier 11 in off-court colorways and materials like olive suede arrives soon in a clean Light Bone upper, constructed in leather and padded mesh with a speckled grey portion of the midsole and a pop of bright orange on the sockliner. 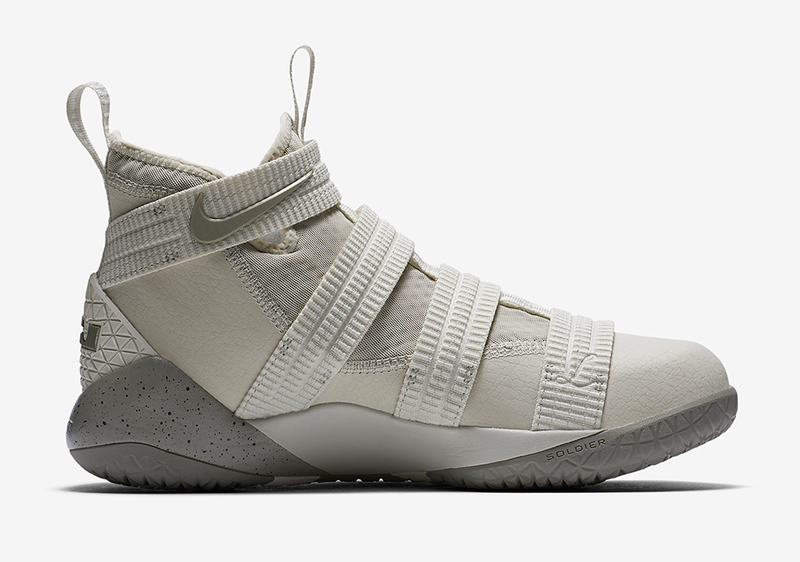 Along with the “Wheat” Soldier 11 coming soon, this Light Bone edition will be dropping later this fall. 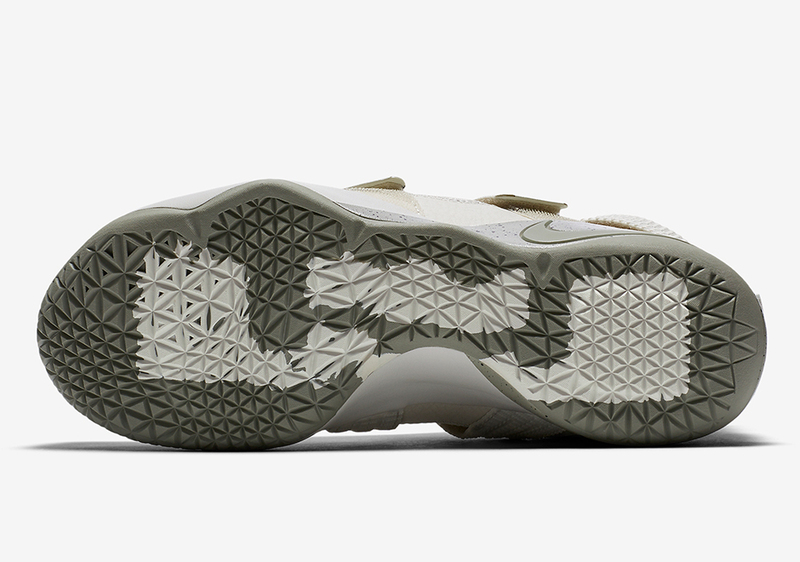 Stay tuned to the Sneaker Release Dates page for a confirmed release date.